Rightfully we can ask you as our teacher – how can we master this way of pronunciation and mantra recital, what would you recommend for us to study? Good pronunciation begins with good listening – not only with your ears but with your whole subtle system. As I mentioned earlier, Sanskrit is the language of the Kundalini, so be very sensitive to the vibrational response She gives to the sounds of the mantras. As far as recordings go, I would be very cautious of ‚Brahmin‘ versions of the mantras. I often find they catch on right Muladhara and have no devotion or beauty of expression at all. Their business is priest-craft. Better listen to devotional musical versions of the mantras where the heart and Spirit speak forth. Either Sahaj artists such as Subrahmaniam or the great masters of Indian Classical vocal music such as Rajan Misra. Alternatively, we ran a mantra pronunciation class at the Nirmal Arts Academy this year in Cabella which proved very popular. If the desire is there, I could always come to Czech and run some workshops! On your website I found, apart from Bhagavad Gita and Shri Ganesha Atharva Shirsha, also a recital of the sacred Shri Kungika Stotram mantras. What benefits do these bring to the one reciting them? Complete bhakti and feeling completely dissolved in the bliss of that bhakti. It's like a blessing from Shri Shiva. When we enter into that state, it is pure Spirit. Could we look forward to another project you might prepare in the future to help sahajayogis improve their spiritual growth? We have just set up a recording studio in my home which will make it much easier to play with ideas and make them a reality. There are a number of ideas in the pipeline: for example, a sung musical CD of all the mantras for all the Nine Nights of Navaratri (probably in the style of the full musical version of the Devi Kavach). Other sacred texts such as the Shri Kundalini stuti stotram, Shri Suktam, Shiva kavach etc. I would love to make audiobooks of texts of spiritual interest such as Kabir, Kahlil Gibran, the Devi Mahatmyam, Ed Word's ‚Oakee Doakee‘ for children, Blake's prophetic books such as ‚Jerusalem‘ and so many more! Then we should encourage yogis to create much more original writing. We have a whole new Sahaj Culture to manifest and develop!! 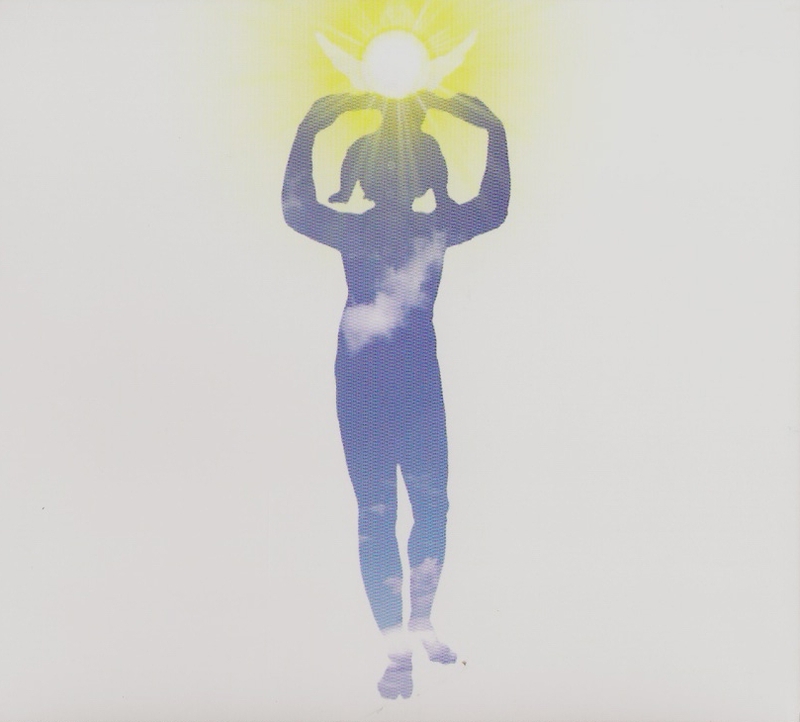 In 1995 a beautiful ten-part documentary about Sahaja yoga called ‚Experiment with the Truth‘, which was shot in the Czech Republic, came to existence. You as a guide voiced all its parts, how do you remember this work now, more than 16 years later? Wow! That was the first big Sahaj TV project and people are still getting Self-realisation from it. 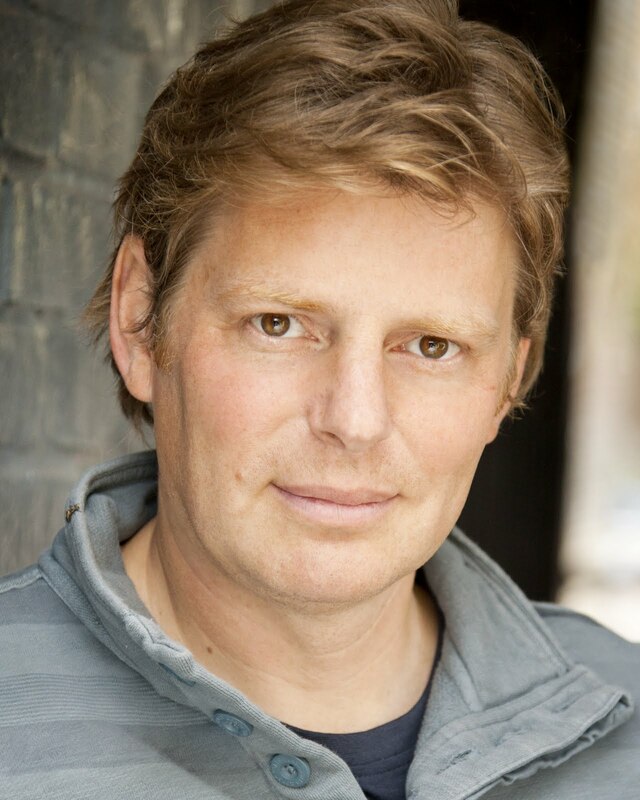 Even now I get approached by new yogis from all over the world asking me whether i'm ‚that voice from the TV series‘. Believe it or not we voiced the whole series in two days. Actually one and a half days! The vibrations were incredibly intense and working with Gunter was a great joy as we have a similar sense of humour! We are still working together to this very day on TEV's production of William Blake. When I came out of the studio I was so tired that unfortunately I hardly noticed beautiful Prague. I only remember the wonderful light that played upon the water as I looked down from St Stephen's bridge and the wonderful creative energy coming from the river. But I was in complete bliss. Luckily I returned to Prague two years ago when I was helping to train up some staff at the British Embassy and finally got a chance to explore the wonderful architecture. The third self-realisation tour of Ghana (from 20 Oct – 7 November 2011) is about to start and also you have toured to Kenya and Nigeria. So what attracted you to Africa? Tim, thank you very much! Tim Bruce – a name no yogi can possibly overlook – be it in the field of music or art. You know him as the protagonist of William Blake drama performance, he is an excellent narrator, a reciter and a singer. Therefore I believe he is rightly included in our audio blog and I´m delighted I could prepare an interview about one recording with him. Yes, you are feeling it right, it´s about a recording of a mantra from The Mantra Book Audio, which creates an unforgettable atmosphere, has a wonderful drive and is a source of immense vibrations. When I heard the recording for the first time, I remained sitting in a complete amazement at my pc. 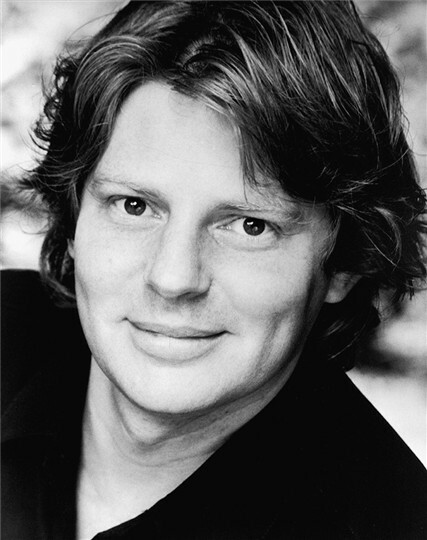 Tim´s mantra recital I have heard many times, for example in Cabella, where he is their chief reciter, his drama rendering in Blake is exquisite and last but not least – his websites speak for him themselves. Let me go back to what is standing in the forefront of our attention – audio recordings from The Mantra Book Audio. As this project aroused a lot of interest in me, I put Tim a few questions. 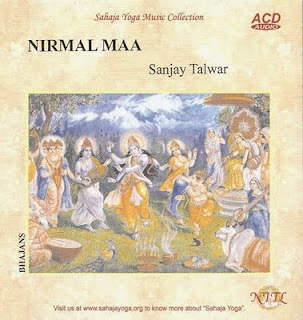 Tim, this recording is a real jewel for those of us who daily read the pages of The Mantra Book and turn in their prayers to the Divine. How did this idea to put The Mantra Book into music come to its existence? When we were in Africa, in Shri Saraswati's land of music and Shri Nirmala Vidya, while on the first Self-realisation tour of Ghana in October 2009 (and by divine coincidence we are returning there for another tour this week!) After presenting some new Ghanaian yogis with a copies of the new mantra book, I was struck by how difficult it was for these new yogis to use the mantra book without some kind of oral guidance and so promised to make some recordings to help them pronounce the Sanskrit mantras. Actually if you think about it, the mantras don't really exist on the written page, they are there only in potential form. Only when someone reads them aloud or sings them do they come to life and act upon the world, infusing the material word with the vibrations of the Spirit. But how to learn how? As we could only be in Ghana for a short time, an audio recording was the ideal solution not only for Africa, but for anyone who desires to deepen their knowledge and their appreciation of the mantras. It's so wonderful and auspicious that this idea should have originated Africa, because the name of the mantra book is 'Nirmala Vidya' and Africa is the Land of Shri Nirmala Vidya, of the pure divine knowledge, of the subtle knowledge of Shri Nirmala. 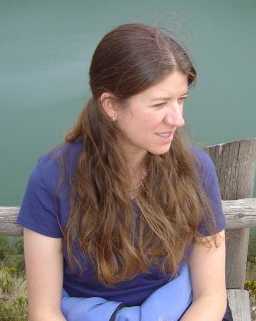 So the recording felt like the next natural stage in helping to manifest Shri Nirmala Vidya. 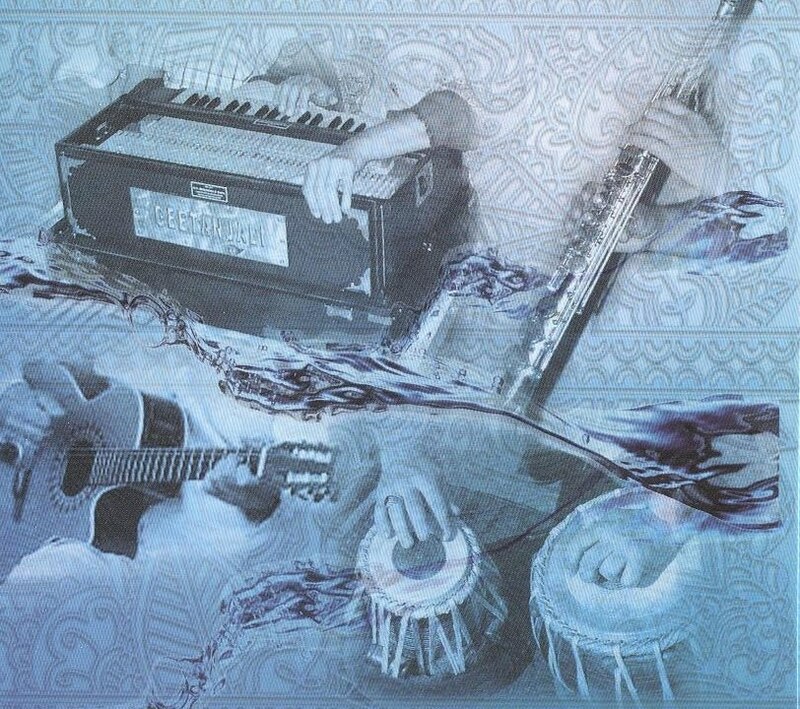 The style of the music is something which developed from singing with a Swar-mandal which is a small Indian Harp with 30 strings, which I love to listen to and strum. It immediately puts you into a meditative mood and always evokes a strong sense of the eternal with its undulating watery sounds. I was sitting on my bed at the health centre in Vashi one day, singing the 1000 names of Shri Shiva and this tune just came out! It's based on the traditional chant of Vedic mantra, but the cyclical ying-yang call-and-answer musical pattern is a melodic Westernisation, which somehow came out of me. When did the recording come to being and who helped you? How long did it take you to record a recording as long as eight hours? There were lots of try-outs and delays along the way and lots subtle resistance to push against, so in the end it took nearly two years to bring the project to completion. What you hear today is actually the third version of the mantra book audio, as it went through various stages of evolution and refinement. The first two versions were recorded by Raimondo Sonis a Sardinian yogi living in North London and I needed time to listen and learn how to master the mantras and for them to sit comfortably in my voice. Once we were ready, the final version was recorded in Andreas Van Engelen's sound studio in Amsterdam, surrounded by the Guru-like vibrations of the North sea and the pure December snows. It took seven days to record the whole mantra book, starting with the Muladhara and working our way methodically through the book. We recorded all the Sanskrit names first, then all the Arabic and finally the Latin and Ancient Greek. I wanted each language to sound very different in both mood and musical style. It then took about six months for Andreas to edit all 74 tracks and get them ready for production. Then the Mantra Book Audio DVD was launched through the World Foundation in Cabella at Guru puja 2011. 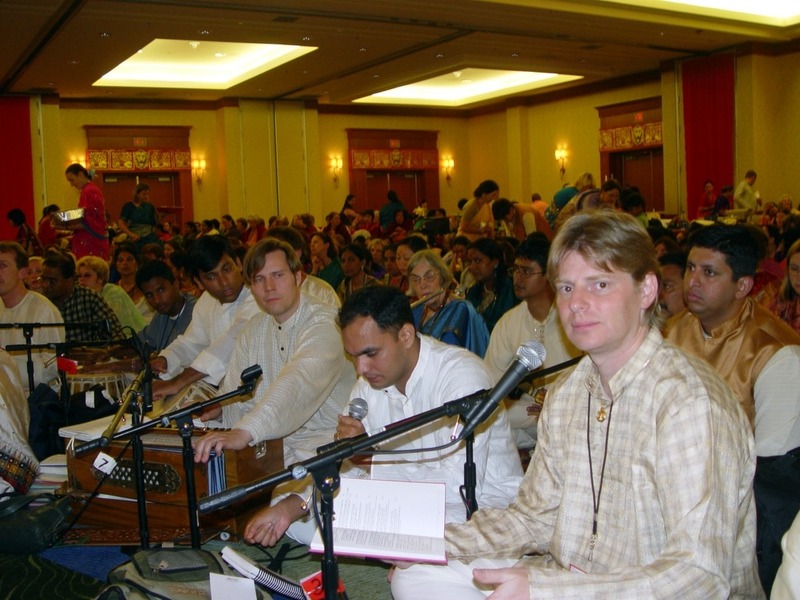 You recital has an amazing feel, a vibratory power and is an exemplary sample of how to recite mantras. Where did you learn it and who was your teacher? How long did it take for you to master it? I have spent a lot of time with Rajashree Lal (Deshpande) in London working first on the texts and then on the pronunciation of the mantras and listening back to the recordings to pick out the mistakes. Rajashree is the silent shakti power behind the whole mantra book as well as the audio and is our resident Sanskrit expert. We have been working together on the International Mantra Book since the role of editor passed on to me in May 2007. After the book's inauguration by Shri Mataji during Guru Puja 2008, I vowed that I would try to master all of its contents and bring them vocally to life. Rajashree has helped me enormously in this, but I would say that the real power developed subtly from deep within. 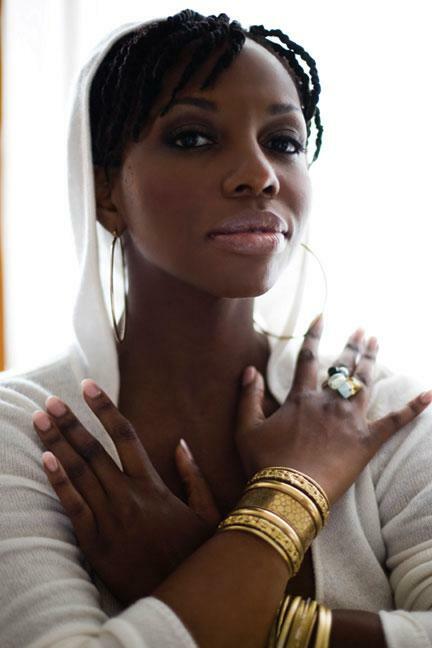 Sanskrit is the language of the Kundalini, all of its syllables derive from the sounds that She makes as She travels through the nadis and chakras of the subtle system. Shri Kundalini is the one, She is the nurturing Mother, She is the living guru, She is one who is anxious for Her child to ascend. As for singing, I studied Western classical opera and song at the Guildhall conservatoire in London; and Indian classical vocal firstly from Arun Apte, then Subrahmaniam and from the great masters of Khyal Pandits Rajan and Sajan Misra. 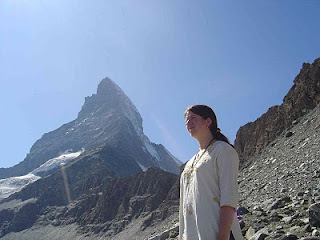 It´s beautiful to hear you recite various mantras with different pronunciations – for example the 108 name of Pallas Athena or 99 names of Allah and others which are in Sanskrit. Even this testifies to your mastery. Evy (in UK) and her sister Lalita Markopoulou (in Athens) helped with the Ancient Greek names of Shri Athena - the Ancient Mother Goddess of Europe. By chance I discovered the oldest written melody in the world dating back to 200BC, a beautiful Greek melody called the 'Song of Seikilos'. This fitted perfectly to the names of Shri Athena and gives a timeless, authentic Greek feel to the names which I adore. Jan Bowen from Cardiff in Wales helped with the Arabic names which were phenomenally difficult!! More difficult than the Sanskrit. We spent ages trying to get them to sound right, as we had previously spent ages getting the text right in the mantra book before it. Arabic is a very complicated language, just looking up a word in the dictionary is an odyssey as you have to look up each word by its root. The Arabic names have been set musically to Rag Bhairav (the rag of the left heart), which is a popular Middle Eastern musical scale and has an evocative Arabic-sounding lilt to it. 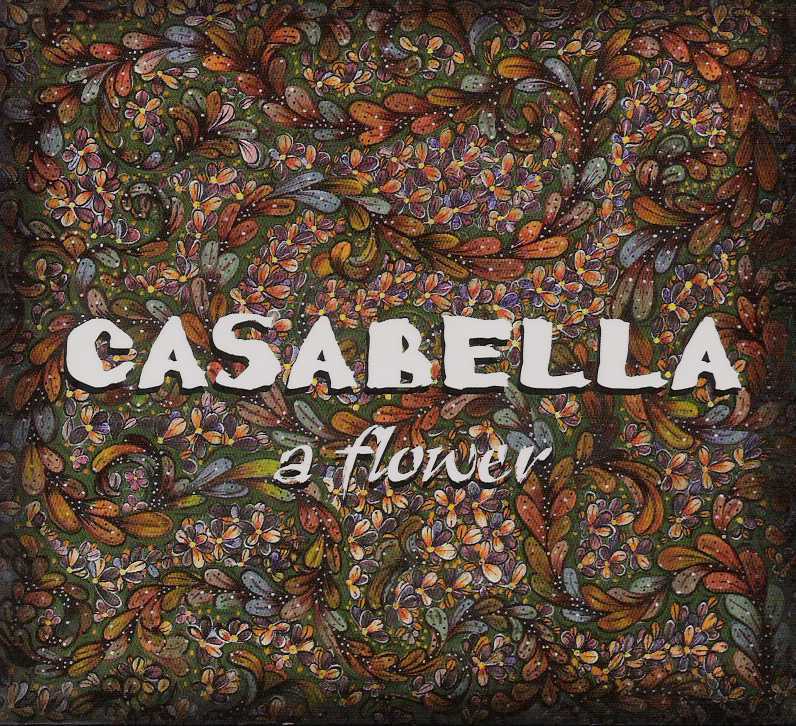 We could buy the recording in Cabella as one long audio track on DVD. Why this format? Basically we had lots of conversations about the various merits and drawbacks of the various formats it could take and Audio DVD was the clear front-runner. With audio DVD it could all be on one disc and it preserved the highest sound quality. On most computers it is easy to select individual tracks., although on some DVD players it does seem to play as one continuous unbroken series for some reason. If it appeared on CD, it is so long at 8 hours that would need a 7 or 8 CD box set which we felt was too big. If it was issued as an Mp3 CD, it could fit on one CD but there would be a big drop in sound quality and the sound engineers were not about to allow that!! So in the end the technically-minded yogis decided on an Audio DVD with the later possibility of downloading Mp3 versions from the NIPC website shop when it was up and running. 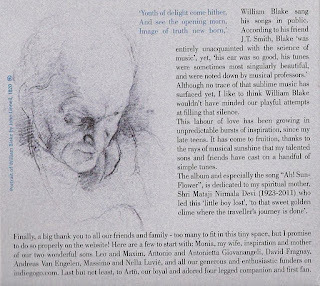 Victor, how did you decide to continue in setting William Blake´s poems to music and why did you decide to do this? I feel that the sound of William Blakes' words have a magical quality of awakening our subtle awareness of the spiritual dimension of life in all its forms. Setting them to music was my way of opening up the deep meaning and beauty of each song. Our modern life cuts off the flow of natural and pure emotions which need to be released, the melodies and sounds of the words seem to work on our emotions - in a gentle and benevolent way. On this album there are some famous songs from your previous album, but with a new arrangement. Was it your intention to remind people of these songs? My first album was born while my sons, Leo and Maxim were still children, as they grew up they joined in as musicians. It was they who took the creative initiative and encouraged me to make these new recordings. The wide variety of styles of the new musical arrangements will bring it close to the hearts of more people - even if many fans have written to me saying they still love the acoustic album. You invited some of your friends and musicians to help with recording, it was not a solo work as with your previous album. What made you do it? 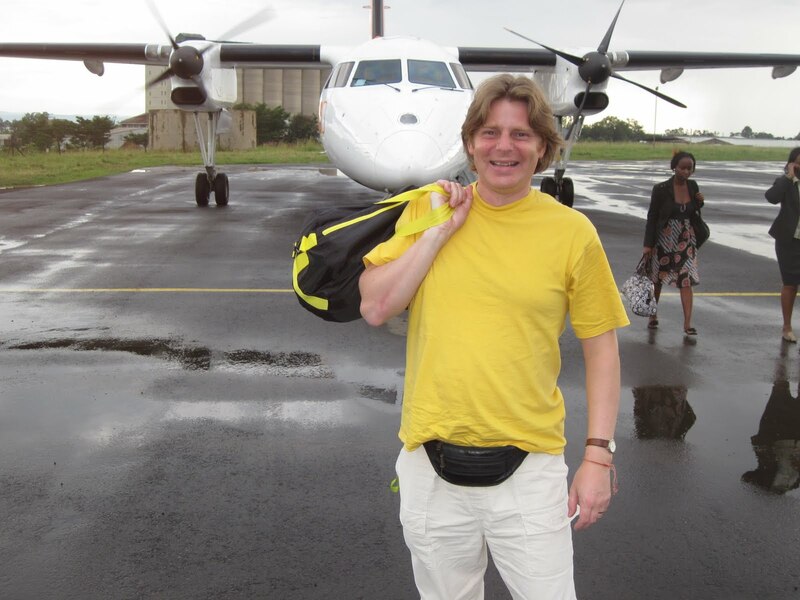 In the past you used to travel a lot and performed your theatre version of William Blake´s life. What was the reception of your performance? We have played Eternity in an Hour in many European countries, USA and this year in Turkey. The audiences appear to be deeply touched in some way, they do not wish to leave their seats at the end as if in a joyful trance! The real test for this multi-media show was when we toured the national theatres of Turkey: Ankara, Bursa and Istanbul. Performances were full and audience members had tears in their eyes when we talked to them, even if they did not understand everything that was said, it was the energy and beauty that was felt. What are your plans for the future? Do you plan anything to surprise us? The world is in a moment of deed transition and artists must take their positions as channels to inspire evolutionary change. The real surprise would be if our 'underground' projects emerge into the limelight and receive more widespread attention. All of your readers can help in that sense, by telling their friends about us! Your interview, is an example of the kind of help we need. Thanks for your support! 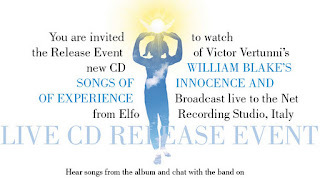 Those who follow musical scene in Sahaja Yoga certainly have noticed the promotion of Victor Vertunni´s new album – Songs of Innocence and Experince. It is a collection of musical poems by the English poet and painter William Blake. The whole album seems to be a sequel to Victor´s previous album which was released in 2004 and was a real gem for all collectors. You can find the songs from this album also on a website where you can buy various formats. 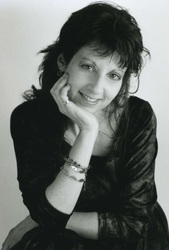 Among other guests Deborah Eckman participated – we know her from her magic mantra album and from a theatre performance devoted to William Blake. I took the liberty of asking her a few questions. Deborah, we haven´t heard about your music for a long time. 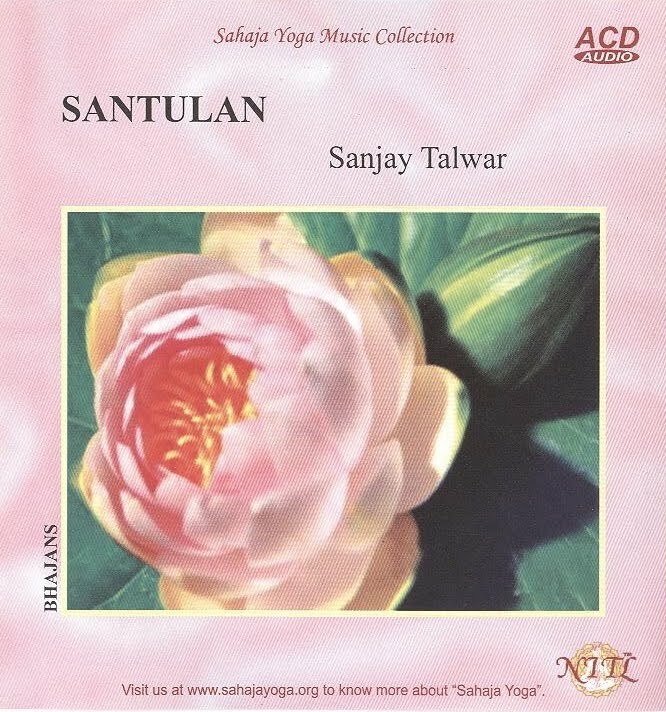 We only learnt about the re-edition of your beautiful album Sahaja Awakenings. 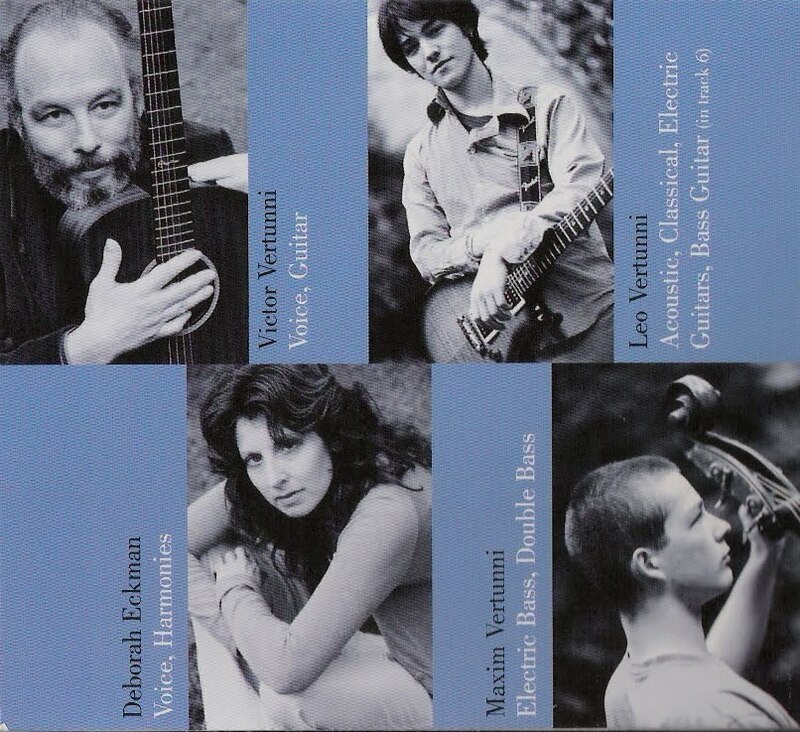 Now you are presented as a supporting singer on Victor Vertunni´s new album. How did it happen? Obviously I have known Victor and his family for a very long time, since we began in Theatre of Eternal Values together in 1996. 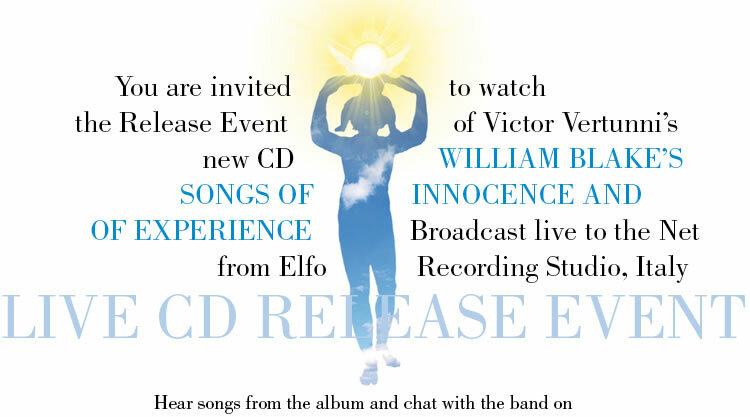 We used Victor’s original Blake CD as the backdrop to our play on William Blake’s life – William Blake’s Divine Humanity – which premiered in 2007 and so I knew a lot of the songs from then. Occasionaly I also sang with Victor at concerts in Cabella, so when he asked if I would like to record harmonies for his new CD, it was great to try out some new ideas, and to help a brother of course! 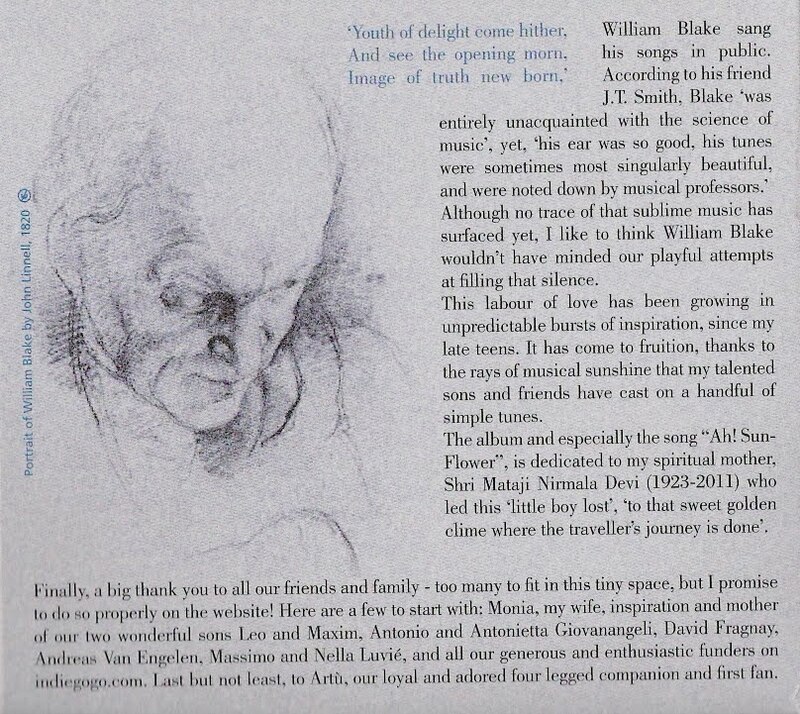 You also participated in many performances about William Blake´s life. Are you more a singer or a theatre-player? What did your theatre role about his life bring to you? This is always a hard question for me to answer, as I enjoy both very much, although I am also dying to work in film…! I wrote on my website recently that it is hard for me to separate between being a singer/songwriter and an actor, and also an artist, so I just follow where Shri Saraswati leads me and try to allow equal time for all. William Blake was not only an extraordinary visionary, painter and poet, but he even designed a new way of printing that was the blueprint of our modern printing press. He was all of these things, yet he never compromised his ideals or beliefs, being of course an incarnation of Shri Bhairava. In the process of researching His life, I realised that, despite it being an extremely complicated way of living my life, it inspired me to trust that all of these creative aspects are inherent parts of my personality and need to be expressed at various times. You spent much time in Italy and you belong to the team preparing the Culture of the Spirit Festival. How do you like this work and how does this experience enrich you? I am more part of the team for helping with the Nirmal Arts Academy, which is now in its 6th year, although I do help a little with the Culture of the Spirit Festival, which happens just after the Academy finishes, as they are both organised by Purna Vertunni , and of course Victor. I always feel slightly nervous before it all starts as there is SO much to organise and we always find new problems every year that didn’t exist before! But we also solve lots of problems and everything always turns out great in the end, especially with amazing performances at the Festival to enjoy. This year I also got the chance to sing a couple of times, which hadn’t happened before as I am usually too busy running around! Many of us (including me) would like to see your new album. Is there any hope for us? Are you working on something? There is always hope… I didn’t sing for a few years, so taking part in recording Victor’s CD was a big thing for me and allowed me to find my confidence again. I have many of my own songs that have never been recorded, or even heard by anyone other than my dog when I am practising at home, so I hope one day the paths will clear for me to achieve this dream of mine to share my songs with everyone. I created a new song for the Festival this year, using the text of Shri Mataji’s poem ‘Dust‘, which I performed on the 1st night with Victor’s son, Leo (and which hopefully was videoed!) I would love to have the chance to record this one day, as well as some other ideas I have. Please continue to enjoy the radio! 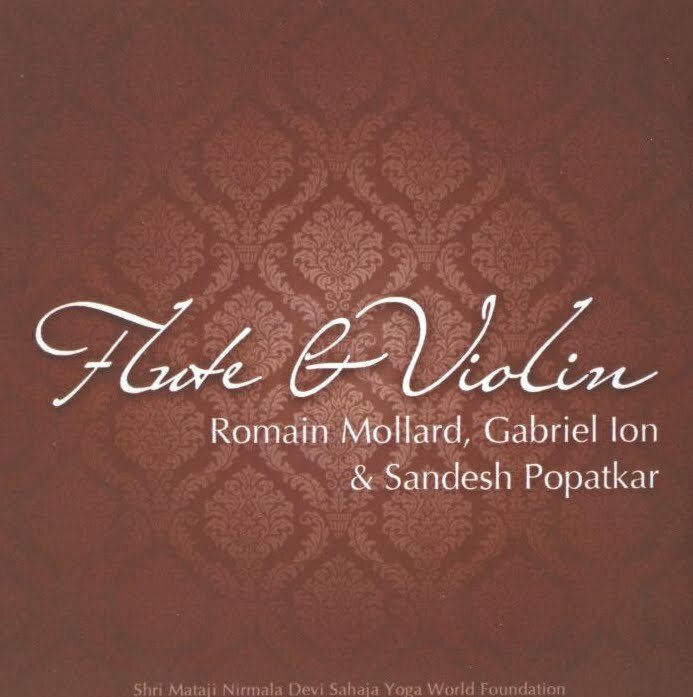 Immediately after Sahasrara 2011 I came across a very interesting album. 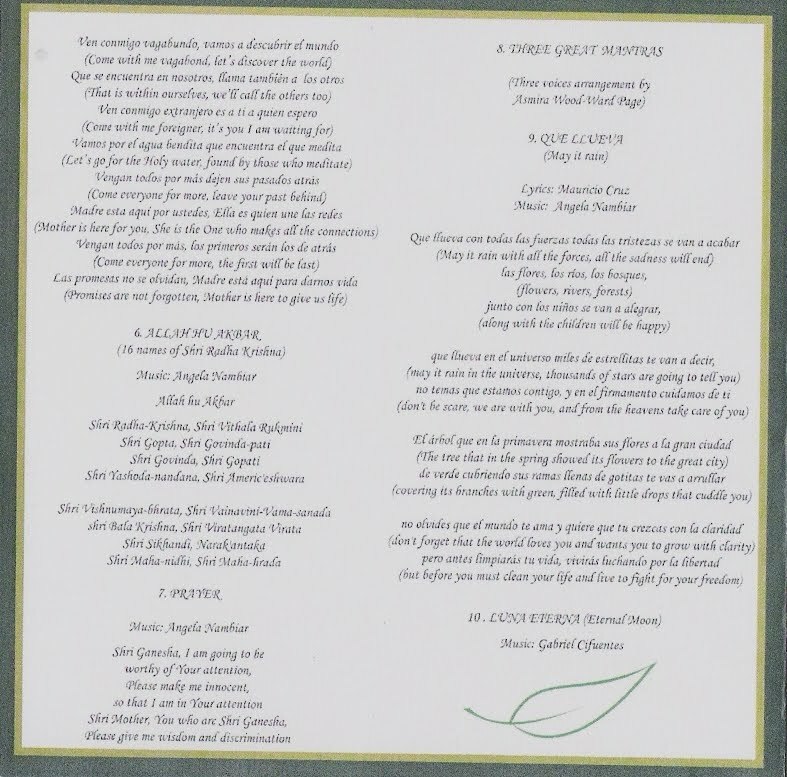 Vow – I remarked silently short afterwards I had a look into the song-list inside the booklet. This young singer Rachelle Jeanty surprised me very pleasantly by songs taken over from the bands of the 70s – the Beatles, Supertramp, Simon and Garfunkel. When I heard her dense and rich voice, I just sat down and listened carefully. The singer of such an expression appears only rarely. Rachelle managed to create something amazing and vocally strong out of songs which she took over. As if she brought more energy of those 70s and unrepeatable atmosphere of those times into my room. 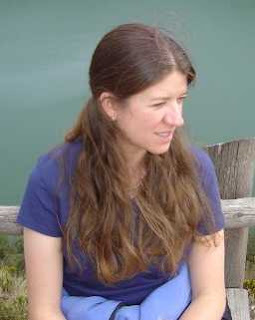 I contacted Rachelle by e-mail and asked her a few questions. Rachell, can you introduce yourself and write a few lines about your beginnings as a singer? With pleasure! 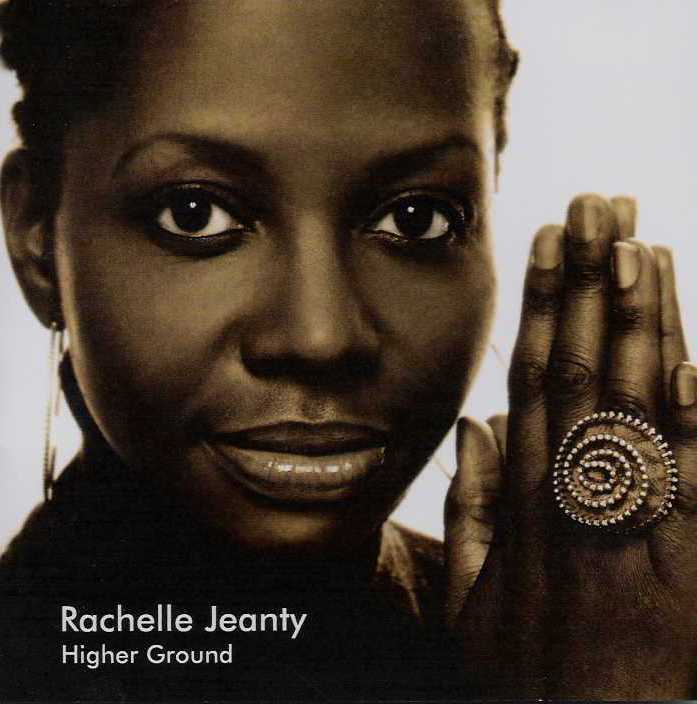 My name is Rachelle Jeanty, I was born in New York and grew up in Montreal, Quebec. My parents are from Haiti and immigrated to the USA in the 60's. Although both very musical, I am the one who has made it a profession. The last person in my family to have been a professional musician is my great grand cousin Occide Jeanty, one of Haiti's most reknown classical composers. As for my beginnings as a singer, apparently as a little girl, I would constantly hold a make-believe microphone in front of my mouth , singing and dancing, all the time, everywhere. But my personal memory of a musical wonder was when I saw a drum set for the first time. I could play it within the first half hour and it became my true love. But for practical reasons, I finally chose singing. I made the right choice, I LOVE to sing and thrive when doing it. Your website presents you as a soul-jazz singer. 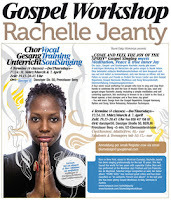 I also know that you sing gospels and that you had several successful concerts in Austria and Germany. Which style is more important for you? What is the strength of gospel music which you had presented in various churches? 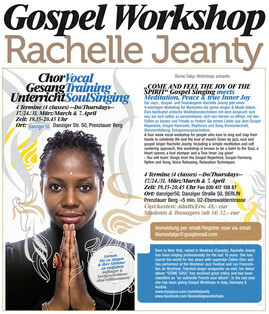 Gospel music unites people, transcends prejudices, speaks directly to the Heart and to the Soul. It is an obvious and easy link to make, to bring about the Joy and Power of Sahaja Yoga to the listeners, for Gospel celebrates the Glory and the Beauty of God. When the Spirit is touched, we go beyond fixed ideas of God, we enter its full dimension and this is what I noticed during the concerts in the churches. I believe each style of music brings its lot of well being and Healing power, but it must come from the right place, from the Heart. I love all kinds of music and love to sing all kinds of styles; Soul and Jazz resonate the deepest, whereas Gospel allows me to fully express my Love for God. Now I turn back to the album we could buy in Cabella. Why did you make cover versions of the Beatles, Supertramp and Simon and Garfunkel? Is the music of the 70s close to you or do you have certain favourite interpreters? Indeed, The music of the 70's is the music of my childhood – (chuckles)I'm not as young as I look ;) – I actually chose these specific songs for their amazing lyric content, all linked to spiritual reflections and messages. Something for example, is dedicated to our Mother Shri Mataji and our Kundalini Energy. Bridge Over Troubled Water is what I feel Mother represents to us, The Long and Winding Road, for me, talks about the struggle the seeker must go through to find truth in this crazy world, and to stay connected to it. The 80's is also an important era for me, as I was a teenager. Songs like Just an Illusion is so much deeper than I ever realized. I would die 4 U is a song Prince wrote about Jesus! It took me years to understand it and now, I find it very appropriate with Ganesha in mind..
For some time you produced backing vocals to Celine Dion. How do you remember that period and how did the cooperation with this famous pop-music star enrich you? It did enrich me on a self-confidence level, because starting your career as a backvocalist for such a star lets you know that you got what it takes to be at that level of professionalism. It was a nice confirmation. The enrichment also lies in that I saw many countries and wonderful cities of the world and sang in legendary places such as the Madison Square Gardens of New York, the Budokan in Tokyo, or for Bill and Hillary Clinton at their private country house for example…It also enriched me on a life observation level, for I was really able to confirm that money itself cannot make you happy; I have never seen such inanimate beings as the ones we played for in the multibillionaire Sultan's palace; the only Light there was in these people were their diamonds! It was actually quite sad. 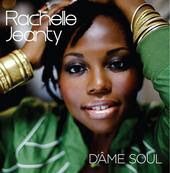 At present we can buy your album D´ame Soul. How would you characterize this album, is this exactly your present musical expression? Workshops and concerts together with Sahaja yoga presentation were the part of your tour around Austria and Germany. How did you perceive the atmosphere and people who came to such performances and probably gained there their self-realization? These concerts were amazing moments for me. For all of us. To feel so connected with your audience, through the Heart and through vibrations, is a dream come true. The Vorchdorf concert was especially memorable: to witness 400 people with their hands above their heads, eyes closed and bathing in the deep silence of the meditation, in a church, was one of the strongest moments of my life. Aah, The Power of Mother. 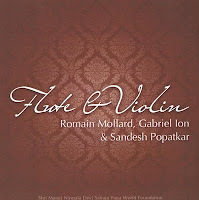 The CD is supposed to be on sale in Cabella at every puja, in one of the tents near the kitchen area, by a brother that sells the cds of all the Sahaj artists. Yogis can also buy it personally from me when i will be at pujas. I sell it for 12 euros, of which 2 euros go to Daglio camp, in support of kids and teenagers in Sahaj. message through all forms of art. Our aim is that people recognise Sahaj culture as a global culture and feel welcome to experience the spiritual force which brings us together from all over the world to create a universal culture: the Culture of the Spirit. Organise theatre and dance performances, concerts, art exhibitions and all other cultural activities. Organise courses and workshops in theatre, dance, music, film, video, photography, painting, language and communication. Produce multimedia material, audio, CD roms, DVDs, and internet sites. Publish written studies and research, books, catalogues and programmes of organised events. We invite you all to visit the website: www.metamodernarts.org - a meeting point for all the Sahaj artists from around the world. Our endeavour is to connect these artists and facilitate the organization of events that enable the multicultural richness of pure, spiritual art to flourish and prosper. Meta Modern Arts will carry out its activities in collaboration with any other public or private institution with similar aims. - As a team-mate, contacting us to find an active role in the organization. - As a supporter, donating money or publicizing and promoting our activities. - As an artist, filling the form on the JOIN US web page. 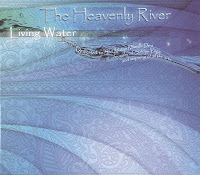 Maybe it is not absolutely necessary to introduce the Ukrainian band The Heavenly River. Although their second album appeared only after ten years, this long interval did not detract from the quality of repertoir or musicians. I found this album in Cabella stalls and it immediately attracted me by its beautiful cover. 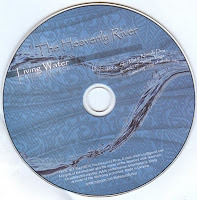 It has an appropriate title – Living Water – and totally matches the blue and delicate CD print. Everything is splendidly harmonized in the colour of water – turquoise blue water of the Borbera River in Cabella as you may watch it in May when it runs in the river bed. 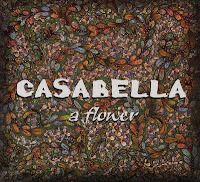 We have already written in our blog about this band, but then it was about their first album and without any interview. That is why I asked the members a few questions about their new album. 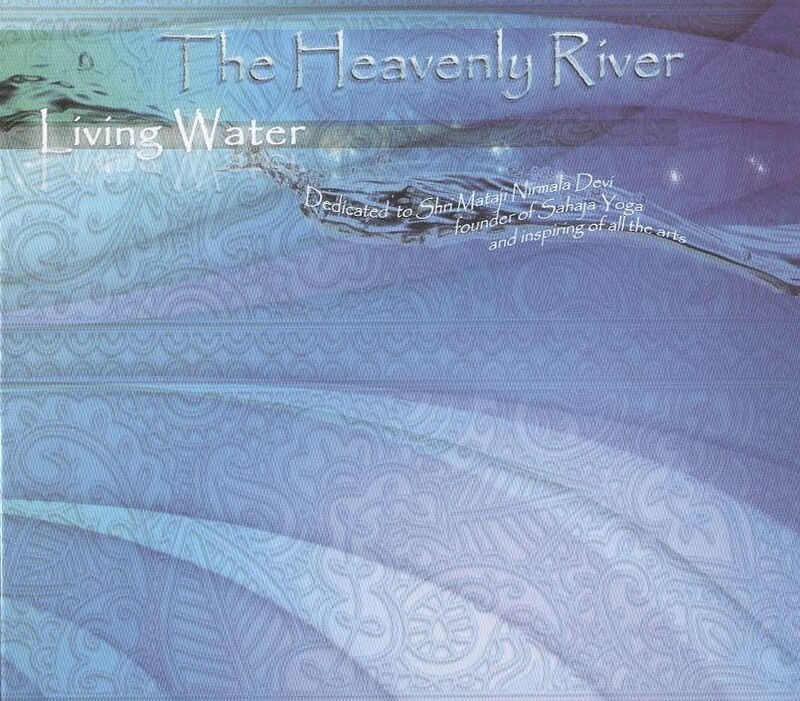 Your album´s title is Living Water – were you inspired by the Borbera River in Cabella? 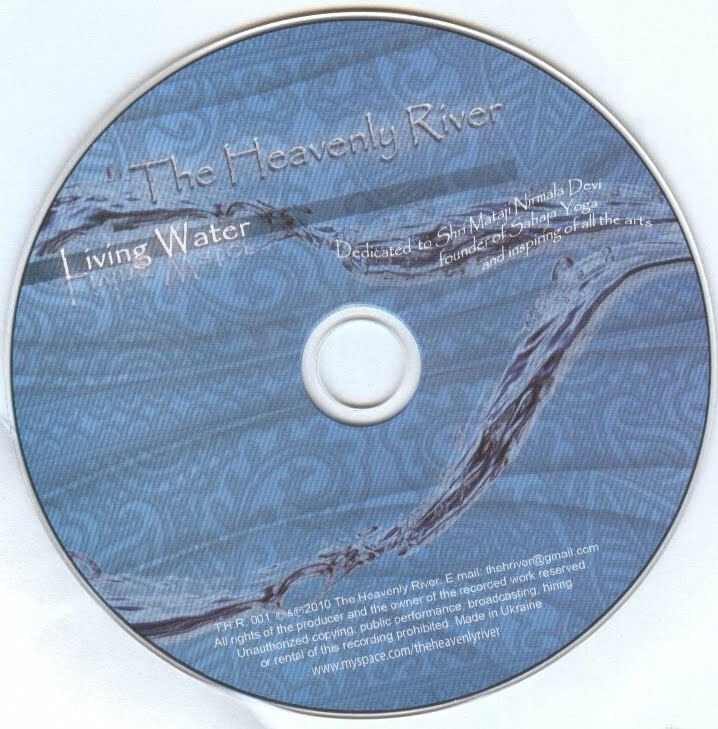 Living Water is also the title of the introduction song. At present we are in Italy and enjoy the presence of Cabella Borbera River with its clear and vibrant water music. Certainly we were inspired and we have dedicated the title to one of our source. Water is the “source of life” and we know some of its names are auspicious: Shri Apa-Tattwa-Swamini (The master of the Principle of water) and Shri Jala-Tattwa-Ishwari (The Goddess of the water element). There are fascinating photos by the Japanese researcher MasaruPhotos which show that water receives and transmits information and feelings. All this is suggested by the title of our album. Your new album appeared after more than ten years. Why did you have such a long interval and how did you fill it? What were you engaged in? 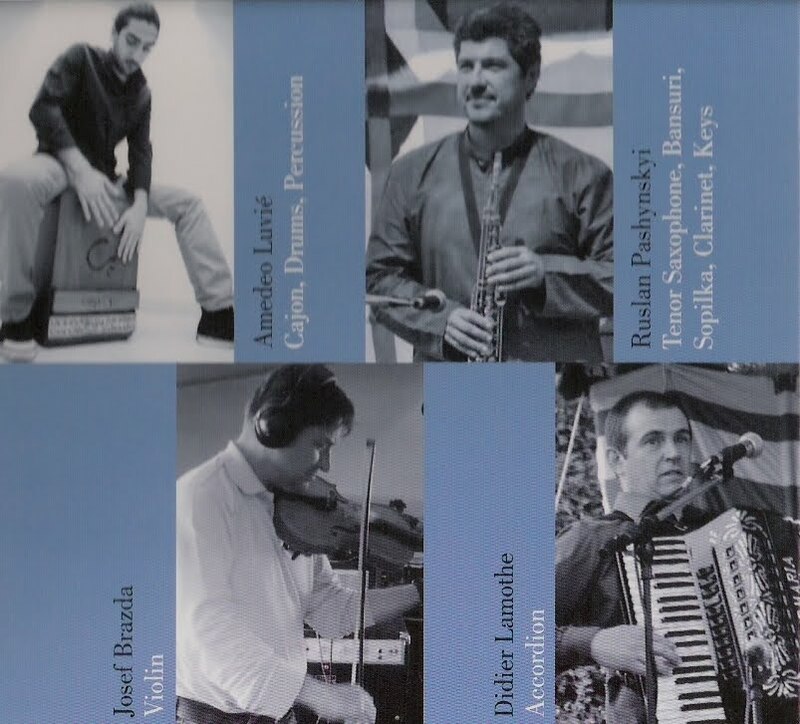 The period after the publication of our first CD we have engaged in concert-tours, festivals, etc.. And we spread the Sahaja-Culture through our concert. The majority of songs is formed by various adaptations of Indian bhajans, e.g. Kundalini or Shri Durga. Being instrumentalists like you, it is always pleasure to give the songs new dimensions, right? 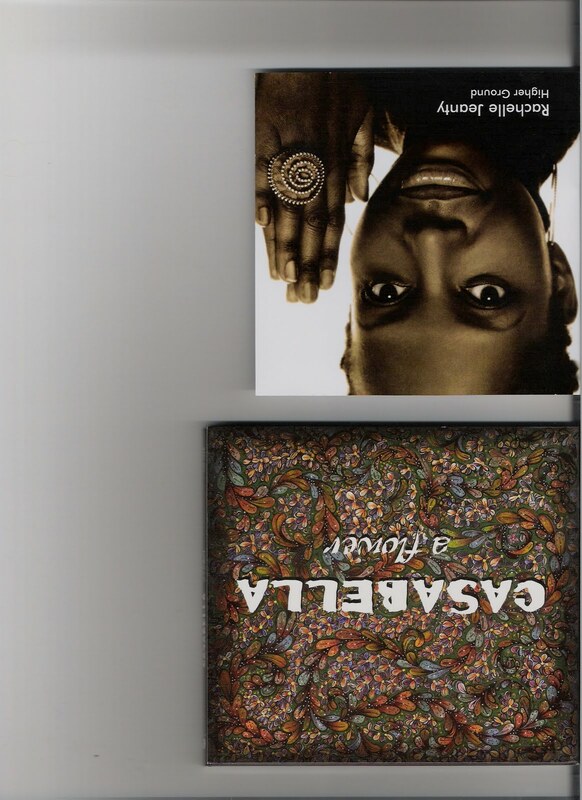 Currently we are inspired by Indian music that brings vibrations sound into our music. While we’re composing this music transforms into it’s own life. The result seems to us to be a harmonious symbiosis. There is also an Irish traditional The Butterfly. Why did you choose such Irish motive? In our compositions there are melodies of all peoples: Slavic, Arabic, etc…When we heard „The Butterfly“ for the first time, we just loved this Irish melody.We have created a fantasy track viewing and following the flight of a butterfly. Some of our compositions are representations of events, for example, in 'listening to the song „Shri Durga“ you can imagine the events described in the „Devi Mahatmyam“. I was extremely pleased when I read the information and then listened to the band playing during the Devipurnama performance. What was it like to play during a theatre performance? It must be a different feeling from playing at the concert – here you have the role of accompanying musical ensemble. 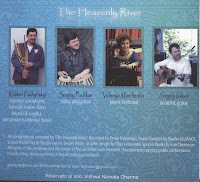 In the show „Devipurnama“ various musicians and singers participated, including us (The Heavenly River). 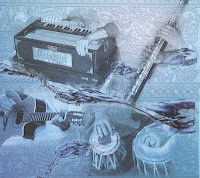 While the music was prepared, some fragments were played spontaneously, directly inspired by the momentarily actions on the stage, such as the fight scene with Durga and demon or the cult of the Goddess and others. Those were free improvisations, moments of great emotional participation. At the National Academic Theatre of Kiev „Ivan Franco“ our tabla player Sergei Puchkov participated in the show „Shakuntala“, where there are some ideas of the „Mahabharata“ by the famous Indian poet-dramatist Kalidasa.We also participated in theater productions where the music and generally the theme of the drama appears. Here you feel an integral part of collective action. In a concert, however, only drama is expressed through music . Immediately at the beginning of this year I was pleasantly surprised. I got into my hands another interesting and nice album. It is full of beautiful melodies with the scent of Southern America including small surprises. You certainly have heard musicalized poems or mantras by Shri Mataji. There are several of them on this album. 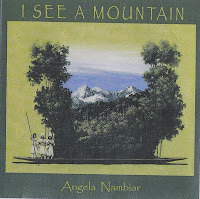 The author´s name was unknown to me till the last moment – Angela Nambiar. 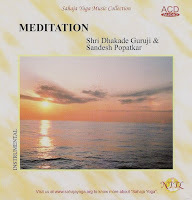 Her voice seemed to me very familiar, so I listened to the first album of yogis of Nagpur – Universal Silence. Yes, Angela also sings there, but under her name Angela Cruz. 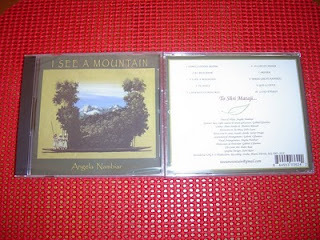 As Angela offered me this album for publication on our radio, I asked her for a short interview about this album. Angela, can you briefly introduce yourself? My name is Angela Nambiar (Cruz), and I am originally from Colombia, South America. Currently I live in Washington DC, USA. I have been living here for 10 years. I am a house wife mainly, but I also give Spanish and Music lessons to adults and children. I got my realization in Colombia thanks to my brother Mauricio, who was introduced to Sahaja Yoga before me. What were your musical beginnings and what musical instruments do you play? My love for music started from childhood. I belong to a very musical family and even though we were not formally trained, music was always part of our day to day life. We used to play music together, write lyrics, sing and compose. I guess music for us was a gift from God! At school, I continued this discipline a little bit more deeply participating in all kinds of musical groups. My music teacher suggested me to study a career related to music, and I did it. I became a Music Educator. Your music is light, airy as well as simply instrumentally cast (guitar, flute, tablas, percussion). Who helped you to record the songs? I love simple music, natural and real...I am more oriented towards acoustic sounds. My rakhi brother Gabriel Cifuentes, a Colombian too, who lives currently in Miami, helped me. He has a great capacity and heart to understand what people wants and how to contribute, so Shri Mataji made it possible. The album is called I see a mountain. The same title has a poem in the mantrabook by Shri Mataji – was it your inspiration? How did it enter to your mind to set it into music – or were you inspired by the visit of Matterhorn? Yes, Shri Mataji‘s poem was my inspiration. I always felt Shri Mataji’s words are poetry and when I read Her poem, I felt it could be a song. It came out very spontaneously. I feel this poem is soft and gentle, reason why I composed a music for it. I was enthused when I heard the piece Prayer. There is only few mantras, which are set to music but this one belongs to the most beautiful. Can you tell us something about it? Recently I felt the desire to compose music for Mantras. I know the importance of saying Mantras for our ascent, but sometimes when we repeat and repeat they tend to become mechanical. 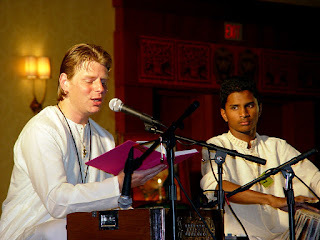 When I sing Mantras I feel more connected and also come from my heart. Among the first songs which I heard was a piece called Alla Hu Akbar. It is a very pleasant version. How did it come to your mind? We live in Shri Krishna’s land, and we love to sing His praise. We need His help to evolve in this beautiful country. Singing these names came also effortless. It is a very simple melody but I guess the vocal and instrumental arrangements created a pleasant effect. Together with Steve Day, Matt Malley and others you perfomed at the small concert in the UN building with the song Namaste. What are your memories and experience about this? Yes, we performed together with very great musicians. It was a tremendous collective effort. We practiced over the phone on several occasions and one day before the concert we all met in New York city. It was exciting to perform in this venue, where many things and decisions happen and affect the entire world. We really hope to have more similar opportunities to spread the beauty of music that opens hearts and minds. One day I would like to write something about the first album Universal Silence which was probably my first encounter with the yogis music. 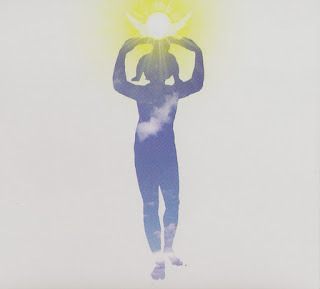 With the benefit of hindsight (it was recorded in 1998) how do you look at your performance on this album? The experience of this recording was unique. We were in this wonderful academy learning Indian Music, and to fusion this with our songs was a dream come true. Babamama’s support, as well as our teacher’s was incredible and gave us great confidence. This was again a great collective project, people from all the continents participated in this album, and together we succeeded.